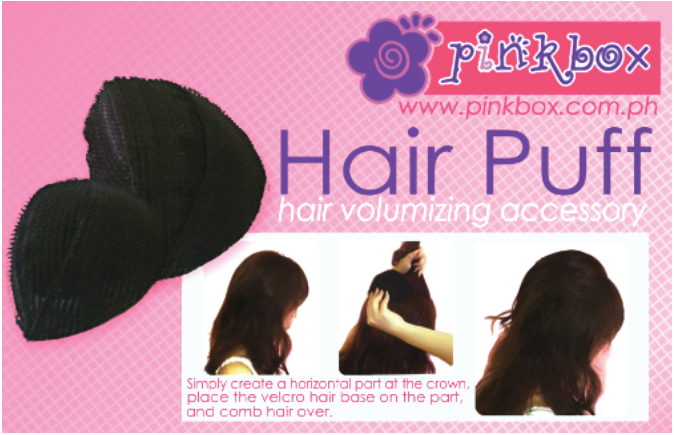 Pinkbox: No More Bad Hair Days! Few people get the opportunity to see their dream come true before their very eyes. 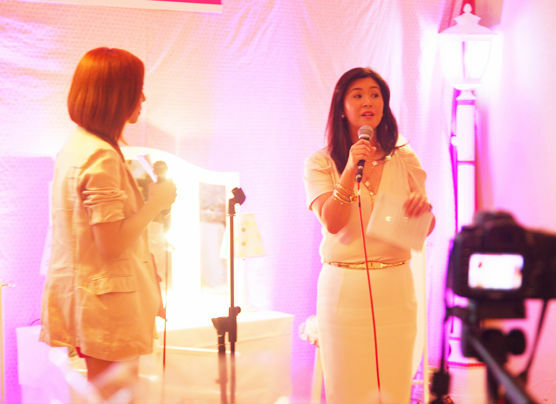 One of the lucky few is Ms. Nellie See, owner of Pinkbox. Back in 2002, she found herself struggling to find a store here in the Philippines that sold accessories for little girls that was able to provide a variety of products that were age-appropriate, of good quality, and trendy. It was only when she went on trips abroad that she was able to find what she liked. It was then that the idea of starting her own store that catered to that gap in the market came to mind. With that, Pinkbox was born. From a small kiosk in Robinson’s Galleria, Pinkbox has now expanded to 27 company-owned outlets and franchisees in different parts of the Philippines. It’s product line also diversified from girls’ hair accessories to novelty items and accessories for more fashion-forward women. 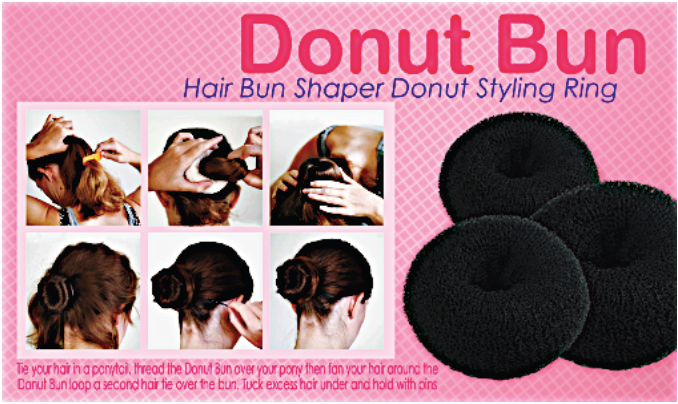 Just a few weeks ago, Pinkbox launched their own solution to bad hair days – the popular Korean-inspired donut bun and the hair puff! 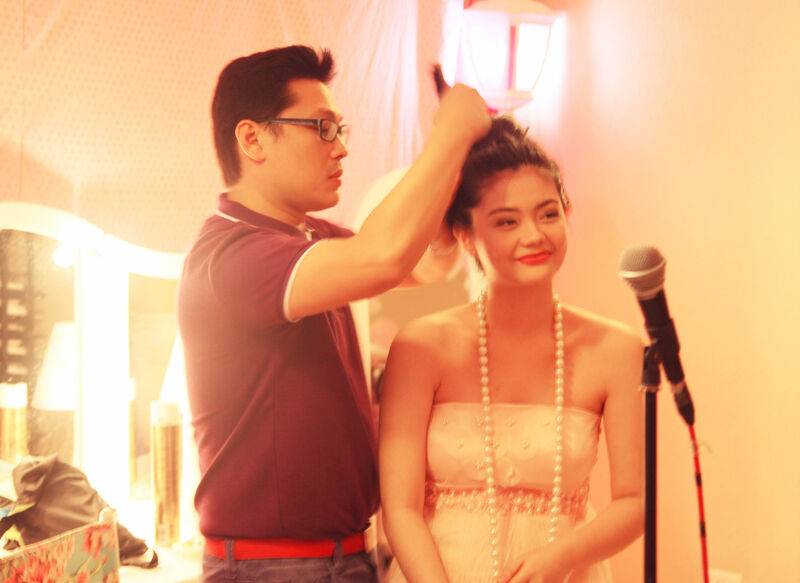 The donut bun (SRP: P119.75 / small, P129.75/medium, P149.75 / large) allows you to effortlessly recreate the high bun made popular by Chanel a few seasons ago. Now, you don’t have to worry about how you can create that perfect round shape! The hair puff (SRP: P 189.75 / 2 pieces in 2 sizes), meanwhile, gives your hair volume without the need to tease it and hairspray it to death! With the hair puff, an edgy hairstyle can be achieved in three simple steps! 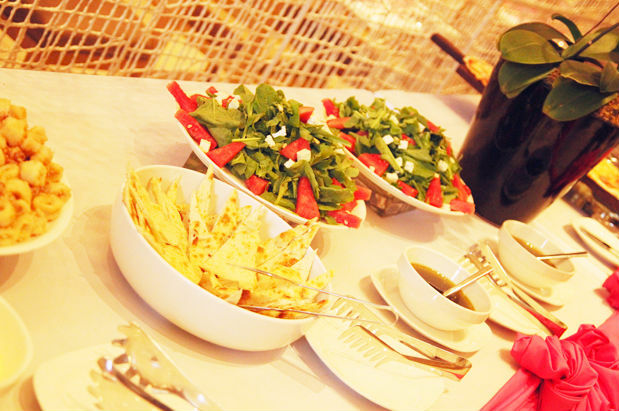 The launch was held at Arya Restaurant at the Fort. 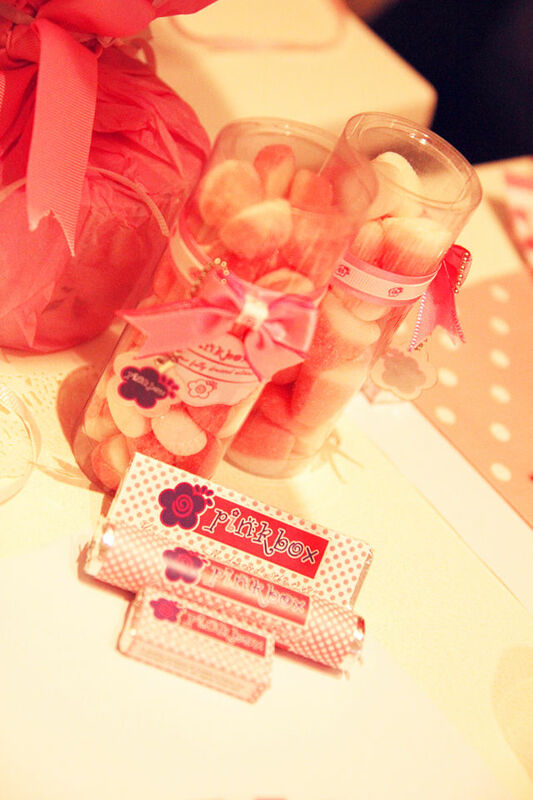 The place was dressed up in pinks and purples, the brand’s official colors. Stepping into the venue felt like stepping into princess’ room. There, we all got the chance to hear Ms. Nellie’s story in person. Despite her success, she remained very humble and nice. It was great listening to her talk about how she first started the brand and her vision for it. She truly is an inspiring woman. 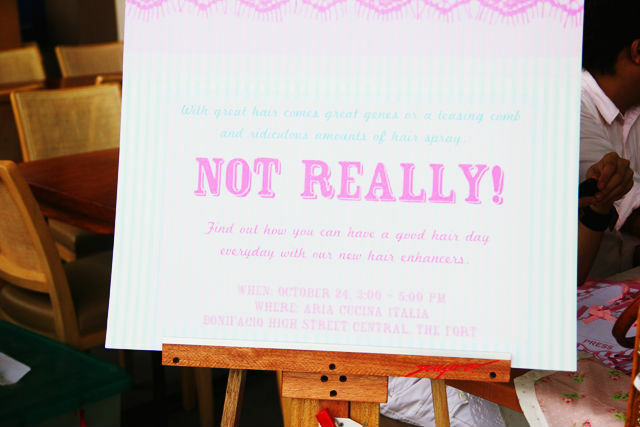 During the event, there was also a live demonstration on how to use the products. 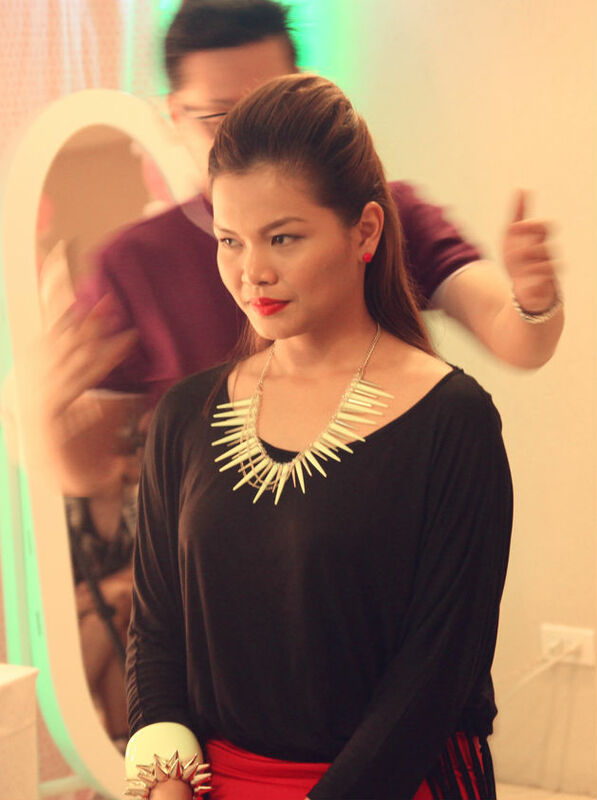 The demonstration was led by Eddie Mar Cabiltes of L’Oreal and it featured Pinkbox’s blogger ambassadors – Verniece Enciso and Martha Sta. Barbara. On the other hand, Martha represented the fierce woman with a rock star edge in her hair puff and spiked accessories. Greenbelt 5, EDSA Shangri-la, SM Mall of Asia, SM Megamall, SM Trinoma, SM North EDSA, Alimall, Sta. Lucia East Grand Mall, Harbor Point, Alabang Town Center, Starmall Bulacan, SM Pampanga, SM Clark, SM Baliwag, SM Valenzuela, SM San Lazaro, SM Bicutan, SM Molino, SM Dasmarinas, SM Las Pinas Center, SM Sucat, SM Southmall, SM Sta Rosa, SM Lipa Batangas. You may also visit their website, Facebook, and Twitter pages for more information. Her story is inspiring and it’s good for her to stick to her passion and find success in the process. Aw, too bad I missed this event! These would be perfect for my daughter’s long hair. Wow! Very inspiring. At ang dami na nilang shops! Super galing! The donut bun is too expensive -_- I can buy one for P25; heck, I can even make one from a long sock. I’d buy the hair puff, though.